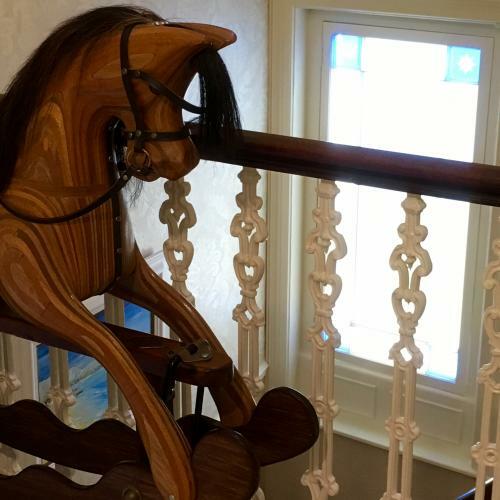 Arden House offers a choice of three beautifully decorated and furnished en-suite B&B bedrooms. All rooms enjoy period features, are furnished to a high standard and have been designed with the comfort and expectations of our guests in mind. Bedrooms benefit from complimentary tea and coffee making facilities, daily homebaking, TV, hair dryer, ipod docking station, free Wi-Fi, large fluffy bathsheets, bathrobes and luxury toiletries. 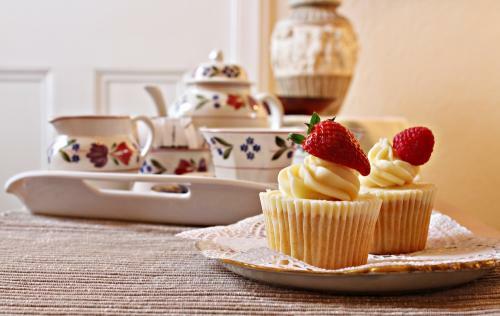 Complimentary tea, coffee and homebaking is offered on arrival and is often served in the elegant sitting room where our guests can relax and enjoy the views over the garden and village to the hills and countryside beyond. 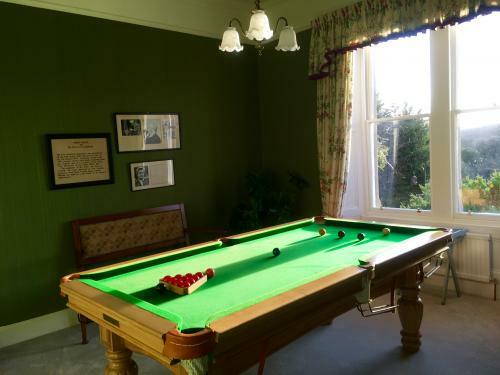 Guests are also welcome to play pool or snooker in our games room or enjoy a peaceful drink on the terrace followed by a challenge on our putting green! (Details for the Studio self-catering apartment can be found on the separate Studio page). Spacious first floor room to front of the house with large en-suite bathroom (shower over bath).European queen-sized bed (1.6 x 2m) - slightly larger than UK king.Comfortable bay window sitting area to enjoy magnificent south and westerly views over the garden and village of Callander towards the hills and countryside of the Loch Lomond & Trossachs National Park.Room dimensions 5.5m x 4.5m. Spacious first floor room to front of house with large en-suite bathroom (with shower over bath).European queen-sized bed (1.6 x 2m) - slightly larger than UK king.Comfortable bay window sitting area to enjoy magnificent south and westerly views over the garden and village of Callander towards the hills and countryside of the Loch Lomond & Trossachs National Park.Room dimensions 5.5m x 4.5m. Spacious first floor room to front of house with super king sized bed (1.8x2m) which can be separated to form 2 full size single beds on request.Southerly views over the garden, village and surrounding countryside. Modern en-suite with shower.Room dimensions:4.36m x 4.2m. A first floor east facing room. This light spacious room has lovely views over our putting green and Ancaster Park towards the golf course and woodland.King-size bed (1.5x2m), comfortable seating area and modern en-suite with shower.Room dimensions:4.20m x 4.00m. Our fully refurbished Studio Self-Catering Apartment is perfect for couples and comprises an open-planned living and bedroom area and a separate bathroom and full size kitchen.